The Rod Saver 12/6PM Pro Model Marine Stretch Rod Saver Set means never letting a rod bounce out of the boat again! 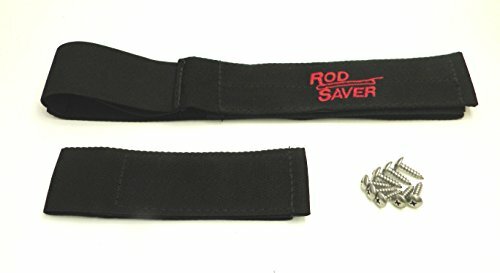 These rod savers mount to the boat deck to keep rod and reel combos secure while you're on the go. This set includes (2) straps: one 12-inch strap for the handle end of the rods and a 6-inch strap for the tips. The 12/6PM holds up to (7) rods and includes stainless steel mounting hardware.